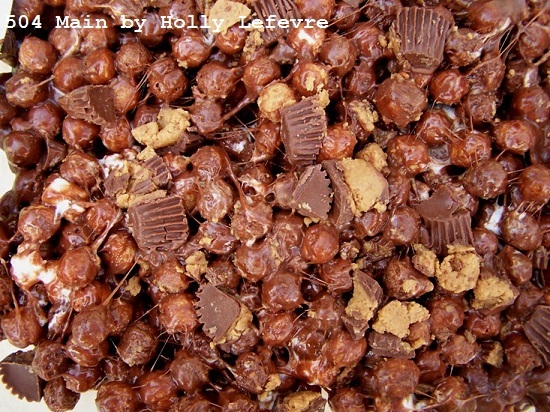 purely delicious chocolatey peanut buttery extravaganza! (more about that next week)! yes detox and all I had to try them! Now here is how to make this decadent and delcius treat! Add 8 cups mini marshmallows and stir until melted. Add 1 cup chocolate chips and stir until melted. Add 6 cups of Reese's Puffs Cereal into the mixture and stir until combined. Once the cereal is coated with the marshmallow/chocolate mixture, stir in the 1 cup mini marshmallows until just combined. 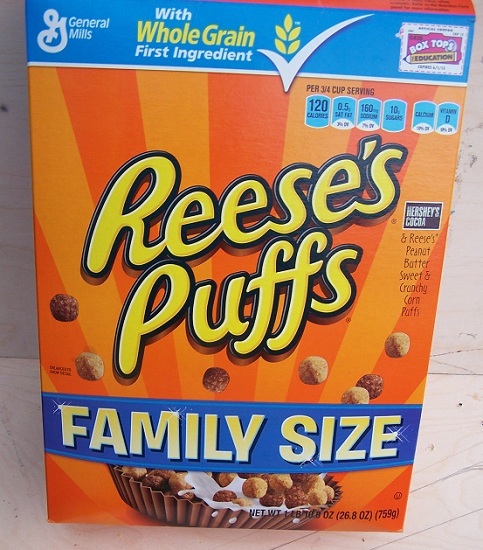 Now, stir in the (20) chopped Reese's miniatures, until just combined. Place mixture into the 9 x 13 pan. 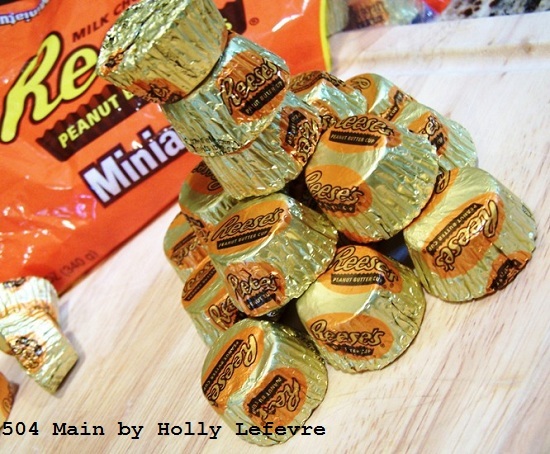 Sprinkle the remaining Reese's Miniatures on top of the bars and gently press down. Let cool and cut into (approximately) 2" squares and ENJOY! Oh yeah...they are dangerously good! What is your most "dangerously good" recipe? Your kids rock! I am doing a cleanse too (feeling slugish lately) so I will look forward to your posts as I have never done one before! Whoo - go kids!! This looks awesome! Oh my!!! I would have to try it no matter what too! Dangerously good is right! I want some now, oh trouble! Those look beyond dangerous. But oh-so-delicious. I imagine that these were the best pre-detox snack around! 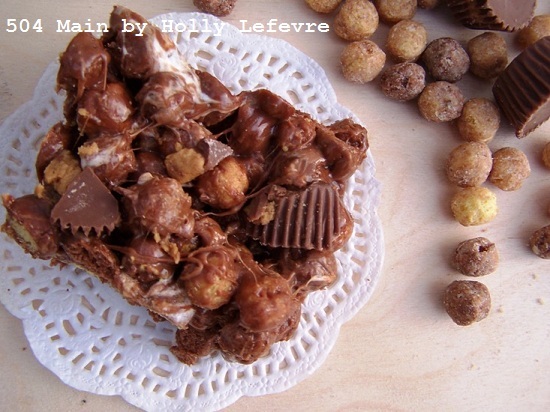 Now I'm craving a Reese's! 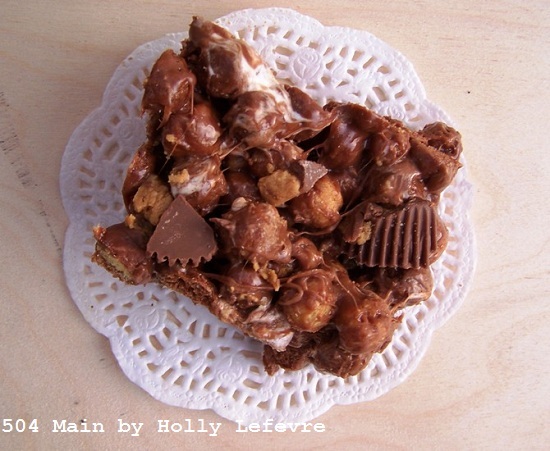 Oh my goodness, Holly ... those look amazing!! I just pinned the recipe. mmmmmmm!! 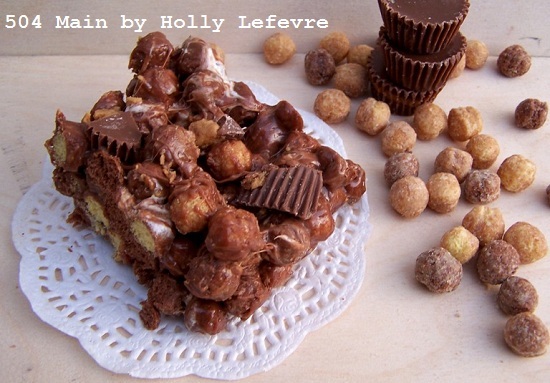 that looks might delish, holly! thanks for sharing, i'm off to pin!